In a recent interview with NPR about his new film Boy Erased, director Joel Edgerton spoke about his experience encountering Garrard Conley’s memoir, on which the movie is based. 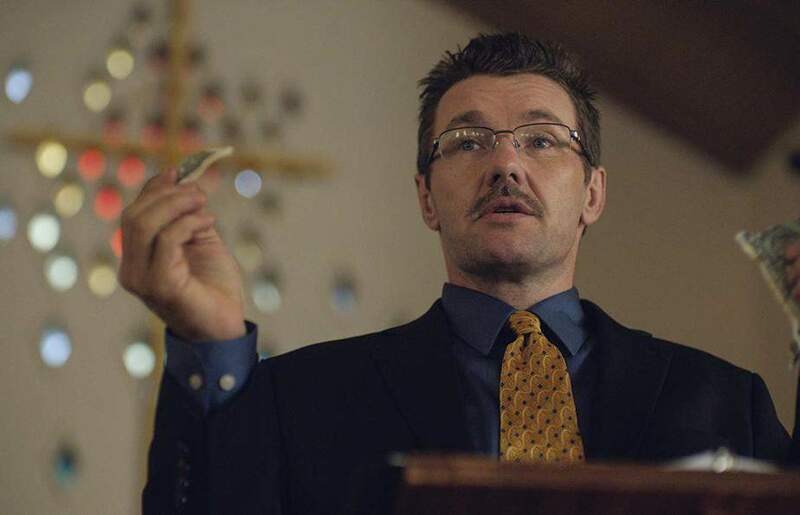 Edgerton’s film aims to provide an emotionally nuanced, lightly fictionalized account of Conley’s harrowing experiences in an ultra-conservative evangelical “ex-gay” conversion therapy program. It does succeed in exploring the conflicting emotions of its central character, and in giving a compassionate portrayal of his parents. Indeed, as Edgerton says in the interview, Boy Erased is not a sensational, melodramatic narrative — even though some extreme things do happen. It doesn’t judge any of its characters. There are some dangerous ideas here, and some very broken people, but no true villain. As a discussion of the harmful worldviews that create the practices in Boy Erased, however, the movie feels like a missed opportunity. The film shows one person’s firsthand experience with a damaging system, but doesn’t try to explain the basis for that system, or how its practices have been justified by so many people for so long. The film begins with college freshman Jared Eamons (Lucas Hedges), heading to Love In Action, a conversion center in Memphis, with his mother Nancy (Nicole Kidman). Headed by the charismatic Victor Sykes (Edgerton), Love In Action’s 12-day process puts participants through the ringer, focusing on all the forms of sin (genetic predisposition, poor environment, abuse, personal choice) that have led them to “choose” homosexuality. The film switches between Jared’s time at Love In Action and his interactions with other program participants, and flashbacks as he considers the events in his life that led him to his present predicament. In particular, he’s haunted by his first semester at college, when his friend and dorm-mate Henry (Joe Alwyn) sexually assaulted Jared, then outed him to his mother and preacher father (Russell Crowe) over the phone. Out of concern for Jared’s soul, and at the behest of church elders, Jared’s parents give him an ultimatum: either go to Love in Action, or lose his family forever. While at Love in Action, Jared encounters several fellow participants with various feelings about the program. Jon (Xavier Dolan) is a veteran of the program, violent and self-loathing. Gary (Troye Sivan) is of the “fake it ‘till you make it” school. Sensitive Cameron (Britton Sear) suffers bullying and the most extreme tactics at the hands of the organizers. Edgerton does a good job of helping the audience understand Jared and his parents’ feelings about homosexuality by displaying the very traditional culture they’re coming from without strong judgement. Nancy and Marshall Eamons are not bad people, and they don’t hate their son. They truly believe they are doing the best thing for him, and until Jared experiences conversion therapy firsthand, he agrees with them. Nicole Kidman’s performance as Jared’s mother Nancy is noteworthy. She stays with Jared throughout his experience at Love in Action, so we’re able to witness her transformation as she goes from firmly believing that Jared’s having a necessary experience to realizing her son is being abused. 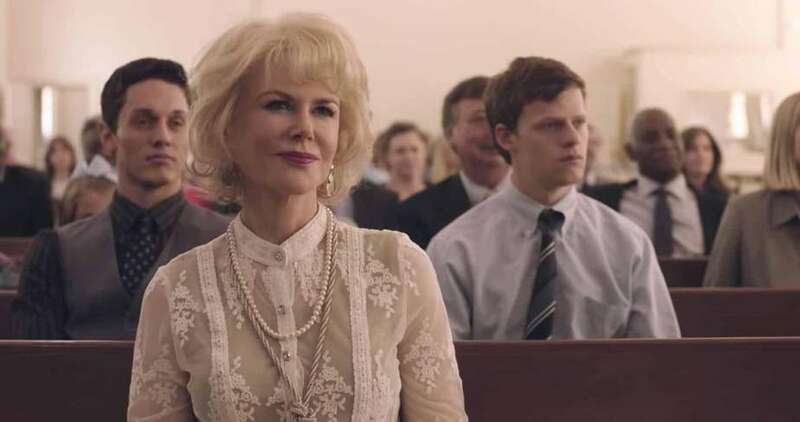 Kidman’s Nancy lets her love for her son strengthen and transform her, as she embraces the notion that instinct is more important than what she’s been taught to believe. Garrard Conley’s mission in writing his memoir, and Edgerton’s stated mission regarding the film, is to help families and young LGBTQ people who may be in similar positions to Jared and his parents better understand and accept each other. The goal is also to bring an awareness to the painful practice of conversion therapy — Conley’s website states that around 20,000 people are currently impacted by it. Boy Erased does shed light on the abusive nature of conversion therapy without making it a story about hatred. However, what it doesn’t do is give the subject the depth of consideration that it deserves. The film can be non-judgmental to a fault. Audiences will understand that Jared’s concerns about his sexuality, his parents’ reaction to it, and the existence of organizations like Love in Action come from a particular interpretation of biblical scripture. But unless you’ve had direct interaction with that form of Christianity, Boy Erased won’t help much in showing the basis for that belief, or the wider spectrum of ways in which different churches interact with the LGBTQ community. The movie also gives Sykes, its chief abuser, a pass of his own by the end of the film, essentially letting him off the hook for behavior that cries out for justice. The film also doesn’t make a very strong connection to the many LGBTQ characters Jared meets at Love In Action. These fellow participants stay on the sidelines, and are mostly shown as various targets of shame and abuse rather than fully realized characters. 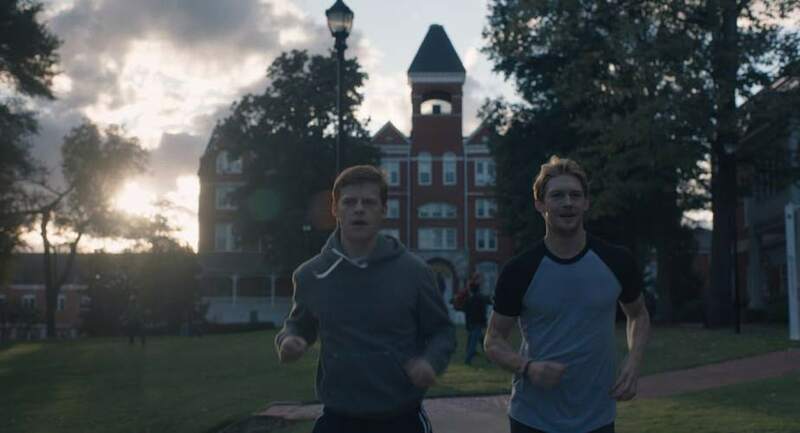 As writer Oliver Whitney shares in his essay at INTO magazine, Boy Erased wastes an opportunity to explore cycles of toxic masculinity and homophobia in its other queer characters, including Dolan’s Jon. This is a particular letdown, considering that the actor playing him is a filmmaker whose own body of work addresses queer identity. Boy Erased has good intentions. Joel Edgerton’s film wants to be a doorway to conversation between members of the LGBTQ community seeking acceptance and support, and the parents who don’t fully understand them. Perhaps for those in that situation, the film may be a good starting point. But on a wider scale, the film’s attempt to humanize all parties lessens the power of the statement it’s trying to make. It avoids the deeper implications of the abusive practice it’s addressing. Boy Erased’s treatment of its subject matter and characters remains disappointingly surface-level, when it could be much more. Rated R for sexual content including an assault, some language, and brief drug use. Abby Olcese is a writer and film critic. She loves the Midwest, movies, comics, and her cat, Buster.